A class-action lawsuit that could result in consumer protection penalties. For landlords who charge an application fee, the best practice is to charge the fee only if the applicant is under serious consideration, and only if tenant screening reports are ordered. Review the rental application first to see if the tenant qualifies, then verify the information, including references, before running credit and other screening reports. Return the application fee if the tenant is rejected prior to running tenant screening reports. Rent control and rent stabilization statutes are limited to only a few metro areas. The majority of landlords are allowed to charge market rent. Property managers are adept at fixing rent as high as possible, but the more savvy managers tend to drop down just a hair in order to attract the best tenants. Good tenants will qualify anywhere, so they are eager to grab a good bargain. Bad tenants always agree to pay the higher rent — at least in the beginning. While standard leases usually provide for a one-year term, anticipate that the tenant may stay on longer. Include annual rent increases in the lease agreement to avoid disputes later on. Deposits are one of the most regulated areas of property management. The majority of states include a limit on the amount that can be collected. Typically, that’s capped at one month’s rent. This can cause some confusion for tenants, who believe that they’ve paid the last month’s rent, not a deposit. As a result, these tenants may fail to pay the last rent installment. The lease should spell out the specific rules regarding the deposit, and at the very least, identify the amount that was paid initially. Security deposits are refundable, and should be described as such in the lease agreement. There is no such thing as a nonrefundable security deposit. Some states provide for a separate and additional deposit for damage caused by pets. That is the only time that it makes sense to allocate a deposit specifically to pets. Otherwise, a landlord is better off charging a general deposit that can be applied to any item of damage. Other common pet charges include a pet screening fee and pet rent. If an application fee is prohibited or capped, a pet screening fee likely will be treated the same way. Unless pet rent is limited by local statutes, landlords typically can charge this monthly fee, with one important caveat: the pet fees, including a pet deposit and pet rent, cannot be charged when the tenant has a companion animal to treat a disability. Many standard lease agreements provide for a late fee as an enticement for tenants to pay rent on time. States often regulate the amount that can be charged as a late fee. That figure typically is a one-time payment of under $50. Late fees generally cannot be cumulative, or “rolled” into the next month’s payment, rendering that payment late as well. A common workaround is to charge the tenant higher rent, then apply a “rent incentive” if the tenant pays on time. If that incentive figure is higher than the late fee cap allowed by local law– or higher than the landlord’s actual losses — then the policy probably is illegal. In practice, late fees are largely ineffective, and only encourage tenants to use the lease as a revolving line of credit, where they pay the nominal late fee in return for the use of their money to pay other bills until the next paycheck. The better plan is to Report Rent Payments, so tenants have a legitimate incentive to pay on time: preserving their good credit. 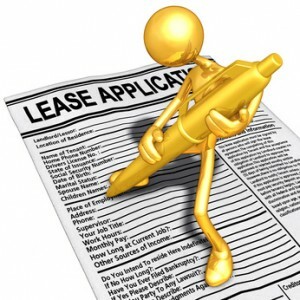 In order to charge late fees, the lease agreement must provide for it. There has been a lot of discussion lately regarding other charges such as “amenity” fees that might cover such things as use of the laundry facilities, the gym, or parking. A class-action lawsuit against a major multistate property management firm is casting doubt on whether these fees — regardless of what they are called — are legal. If the state specifically sets forth the fees allowed to be charged, add-on fees are prohibited, even if the tenant agrees to pay. In states that do not address these add-on fees, it is important that the fee structure is set out in the lease agreement, and that the tenants understand what is included in the rent versus what costs extra. A landlord who recently attempted to charge a fee for portable air conditioners was forced to back off after tenants complained the fee was not in the lease agreement. While termination fees are not often expressly prohibited, these fees may be unenforceable. The difficulty stems from the fact that a landlord has a duty to mitigate damages in the event a tenant must leave early. That duty means the landlord legally is required to locate a new tenant as soon as possible. The exiting tenant then is liable for rent until the new tenant takes over, but not after that, unless the landlord cannot locate a tenant for the same amount of rent. In addition, the exiting tenant may be required to pay any costs associated with finding the new tenant, such as a tenant screening fee. Any amount beyond that may be deemed a penalty, and a court may not enforce it against the tenant. So, if the early termination fee charged is higher than the amount the tenant would owe by law, the fee may be illegal. Proof of payment for the repair. If, for example, the landlord charges a tenant for destroying the carpeting, the landlord will be hard-pressed to prove the case if the landlord is not going to replace the carpet, or if the landlord deducted the perceived value of the carpet at the time of the damage, not the cost of the repair. Unless there is a local statute that prohibits it, landlords generally can charge a bad check fee, so long as the fee is disclosed in the lease agreement and the amount in reasonable. The same is true for electronic or credit card payments. 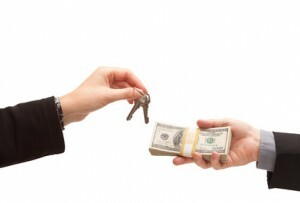 Charging a tenant for attorney fees in the event of a legal dispute may be prohibited by local law. Where those fees are not prohibited, a court probably won’t award attorney fees unless that is provided for in the lease agreement. Interest on past due rent also is controlled by each state’s rental laws. However, many allow for interest at a reasonable rate so long as that is provided for in the lease agreement. Because the initial lease agreement should be reviewed by a local landlord attorney, use that opportunity to discuss any rules for rent, fees, and deposits that are specific to the property. I have had the same renter for 6 years. They’ve been paying the same rent of $1200 since they moved in. No security or pet deposit. No lease agreement for that matter. They are wonderful people and have keep my house very clean. I just recently took a mortgage out on my rental. I am now losing over $300 monthly and want to raise the rent. With the housing market in my area being what it is, I could be getting $1900 – $2000 monthly. Can I raise the rent up to $1600 to meet the renters half way and at least break even or do I have to keep the rent to an increase of only 10% a year? I live in Monterey County, in California and I’m not exactly sure what the laws say. I could give the renters notice and rent it to someone for the full $1900, but would like to keep them around. I feel $1600 would be fair. Can someone please advise me? I am applying for an apartment. I have a few questions on fees. 1. I was told if i apply and get turned away to get a cosigner but I would have to pay my application fee again along with the cosigner. Is this legal? 2. I was also told that if my credit isn’t high enough I would get charged assuirty rent which could be from $1000 to $2400 on top of the regular security deposit. Is this legal. I would go to $1,400 and then $100 more per month. Then in the future, always raise the rent at least 5% every year. If they complain, tell them that it is due to the yearly increase in prop taxes and insurance increases. Can a landlord charge a processing fee on top of the returned check fee Plus other reasonable expenses?